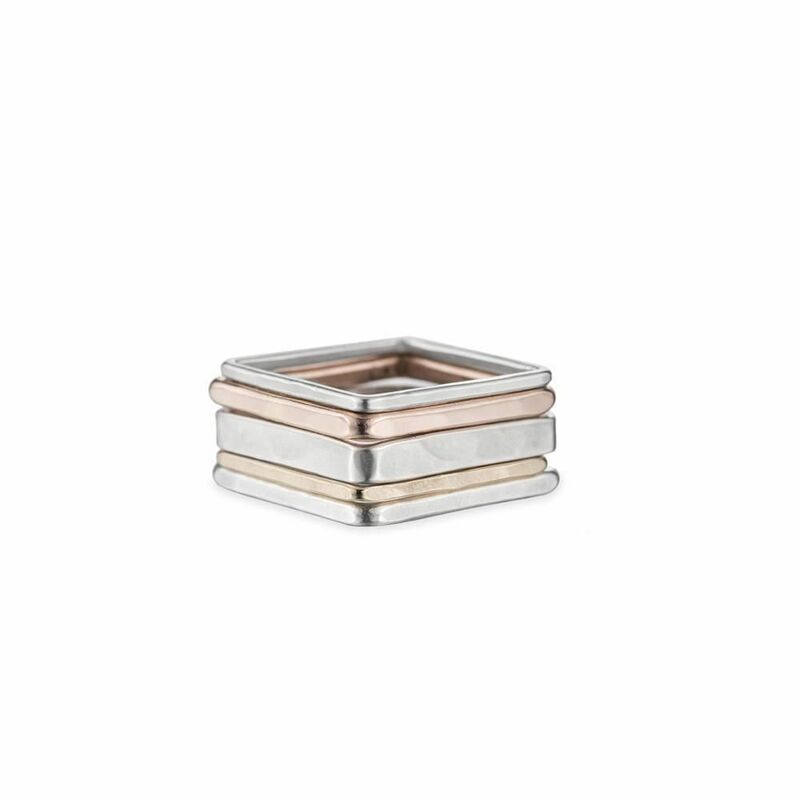 This rigid square stack has five rings including 1 thick (3mm) silver, 1 thick rose gold, 1 thick silver, 1 thin rose gold and 1 thin silver. Rigid, yet extremely comfortable due to it’s softly rounded edges. This ring is available in sizes 5.0 – 9.5, including all half sizes. Special note: because of the wideness of the stack ring set, it is recommended to buy a stack that is approximately a half size larger than your normal ring size. Materials: sterling (.925), 14k rose and gold fill (14k gold over a brass core, no nickel), hypoallergenic. 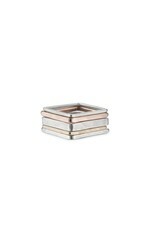 This ring set is handmade in our California and New York production studios.